The skies and shores around the Solent paved the way for aerial innovation for many years during the formative era of British aviation. 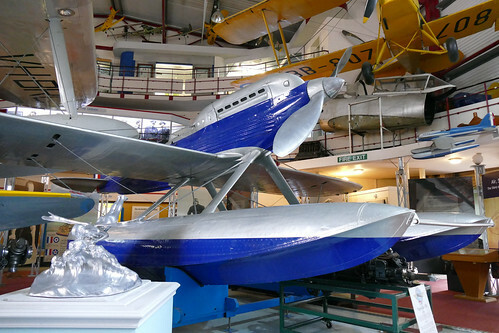 From the historic Schneider Air Races from Calshot to the unbreakable bond with the Supermarine Spitfire and Flying Boat operations, the area is rich with aviation history. 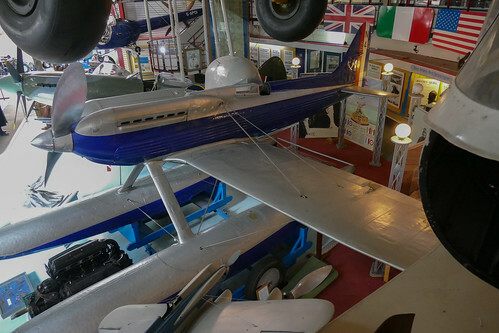 The areas links to the history of flight are well represented in the wonderfully constructed Solent Sky museum. Though tightly packed, each exhibit is given its own space in which for a story to be told. There are different levels of raised walkways for viewing and there are plenty of informative notice boards and displays with smaller artefacts on show. 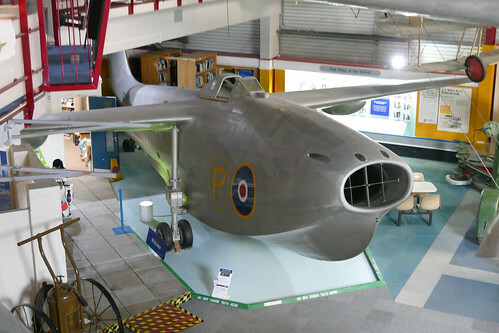 On arrival at the museum you are welcomed by the utterly unique sight of the Saunders-Roe SR.A/1. This jet powered flying boat fighter prototype first flew in 1947 having been originally conceived to play a part in the allied war effort in the Pacific. Three airframes flew in total and exhibited good handling qualities, though ultimately the need for such a machine had dissipated with the end of the war. 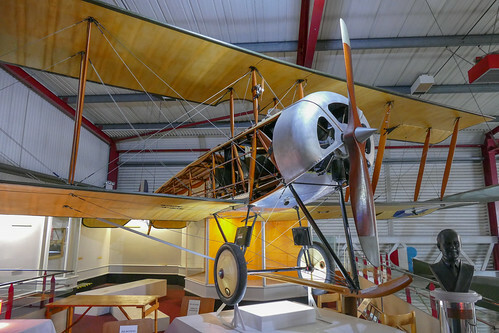 Only one aircraft survived the flight testing, the original prototype which forms part of the Imperial War Museum collection, on loan to Solent Sky. The aircraft is a remarkable design and great to see so close to where Saunders-Roe were based. 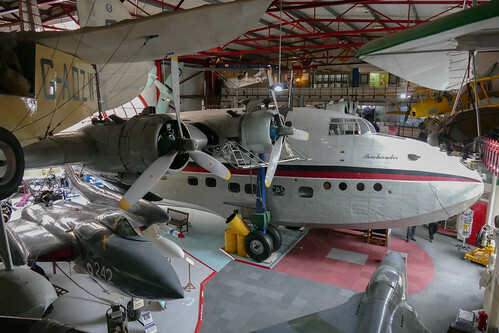 Upstairs there is a wonderful exhibit on the history of the passenger flying boat services, which would have been how many travelled in the world in the interwar years. 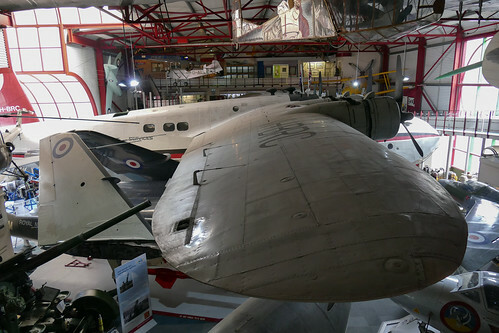 The exhibit is accompanied by a film displayed on a projector, alongside an impressively displayed, partially uncovered Avro 504. It doesn’t take long to appreciate that the whole building has been assembled with one particular exhibit in mind. 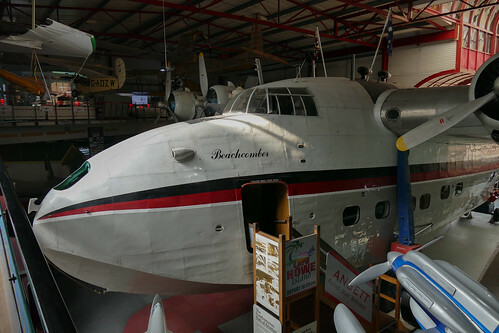 Short Sandringham VH-BRC is one of the last remaining examples of the Sunderland line of flying boats. This example is resplendent with a full passenger cabin, which, together with the flight deck is available for viewing by visitors. This is where the raised always come into their own given a great chance to appreciate this huge machine. Perhaps two of the most famous designs to come out of Southampton manage to shine in the Sandringham’s shadow however. 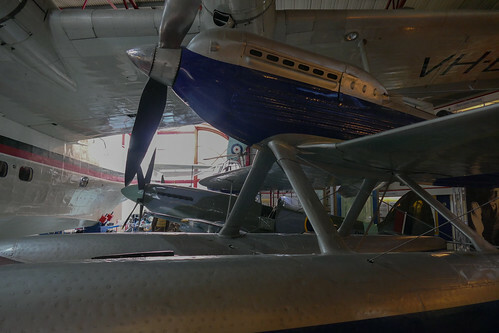 Supermarine S.6A N248 and Spitfire 24 PK683 are displayed together. The S.6A competed in the 1929 Schneider Air Race and is one of the only two examples of the type. Much like the example on display at the Science Museum, you can’t help but be impressed by the appearance of this design. 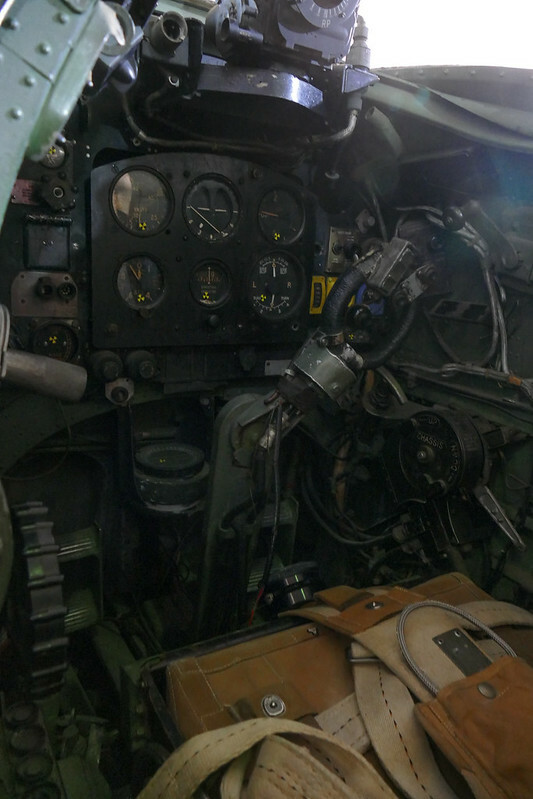 It is also a rare treat to get such close access to the ultimate development of the Spitfire, with cockpit views achievable thanks to the open door. I have always marvelled at these late Spitfires complete with gear doors and the late profile wing. Though far removed from that original prototype which launched from Eastleigh in 1936, it serves as a fitting testament to the remarkable longevity of that design. Other highlights are from a post war era, with another Supermarine product under restoration just off of the main display hall. 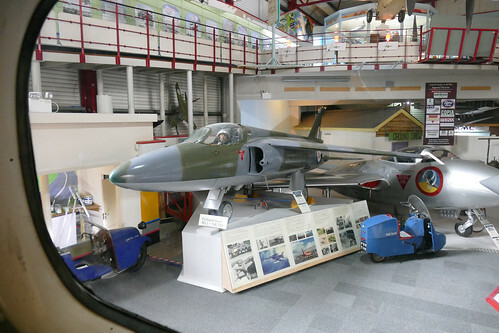 Supermarine Swift G-SWIF is displayed in a semi-restored state and proves an interesting exhibit documenting the early development of British Jets. 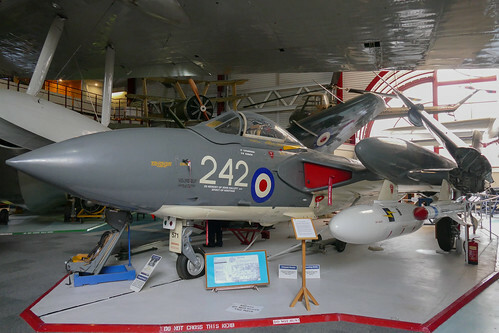 A Folland Gnat F1 and de Havilland Vampire add to the jet line up in the museum, together with a de Havilland Sea Vixen, displayed ready for a catapult launch. Another fitting inclusion, given that the Sea Vixen was built relatively locally. This post only scratches the surface and the major artefacts on show. 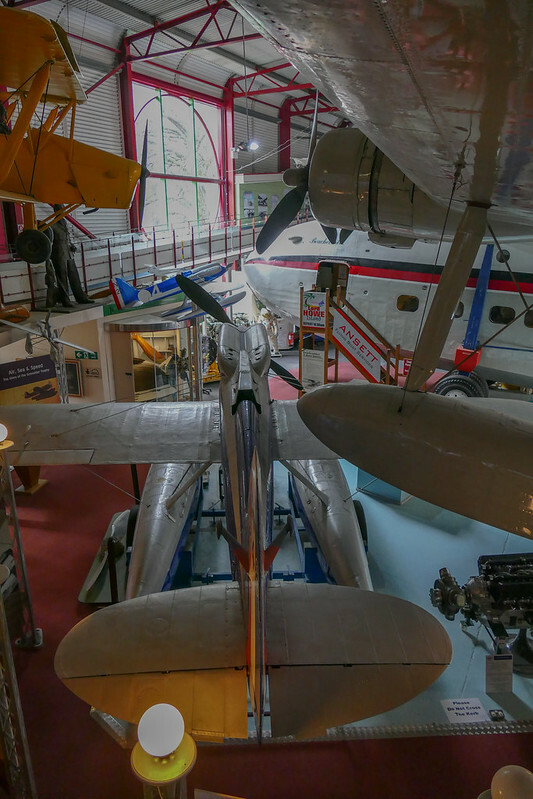 There are plenty of other fascinating exhibits and stories to be discovered at the museum, including significant components of other Schneider racers and local aircraft. I would wholeheartedly recommend a visit for any aviation enthusiast. For unique machines such as the SR.A/1 and the S.6 alone, let alone a chance to climb aboard a passenger Shorts flying boat.